Deter criminals: provided cameras are placed where they can be easily seen, CCTV offers a highly effective way of deterring thieves from entering your premises. Signs to warn criminals that they will be prosecuted are displayed alongside, providing a very visible deterrent and making them think twice before attempting to break in. It’s worth remembering that criminals are most likely to target businesses which appear to have little security protection and installing CCTV is a great way to give yours the protection it deserves. Aid prosecutions and prevent false claims: today’s CCTV systems are designed to provide crystal-clear images, helping to increase chances of prosecution whilst also assisting you with an insurance claim. In addition, CCTV footage can also help to provide you with protection from fraudulent insurance claims or claims for personal injury or misconduct. Safeguard your employees: installing CCTV can help your staff feel safer, particularly those who have to work alone or at night. Enhance work and safety: an often overlooked benefit of CCTV is the benefits it can offer in terms of creating a safer working environment. CCTV cameras encourage staff to stick to health and safety rules, helping to minimise the risk of them taking potentially hazardous shortcuts. CCTV can also prove useful in emergency situations, such a spotting a fire or accident. Safeguard your premises 24/7: The latest CCTV systems can be viewed on a smartphone, tablet or laptop, offering you the capability to monitor your business premises regardless of where you are. Not only does this provide peace of mind, it also gives you the chance to take immediate action in the event of a break in. At FirstEye we have many years of experience of working with commercial businesses throughout Leeds, designing and installing CCTV systems designed to meet their budget and requirements. If you would like to find out more, or to obtain a free, no-obligation quote, please don’t hesitate to get in touch for further information. 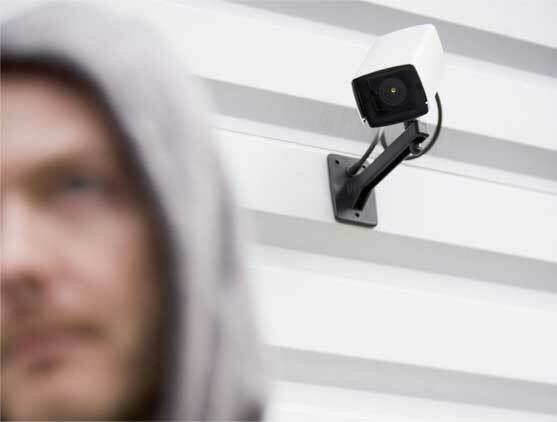 CCTV isn’t just for business customers – protect your home and see what’s... Beat the burglars with a new home security system!